How do I setup read-only Default Parameter values for SSRS reports in SQL-RD? The Default Parameters tab allows you to set up read-only default values for specific parameters that you can then assign to any of your schedules. The Default Parameters tab allows you to set default values for specific parameters that you can then assign to any of your schedules. Default Parameters are useful for SQL-RD environments where users are assigned schedules with specific parameter settings that need not be tampered with. 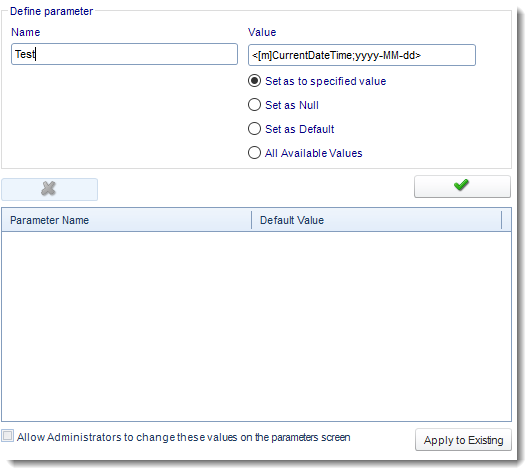 On the Default Parameters tab, enter the name of the parameter in the Define parameter - Name field. Set its value to Null. 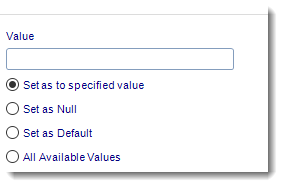 Set it to a value you specify in the Value field. You can also drag and drop values from the inserts menu (i.e. date parameters or data items) into the Value field. 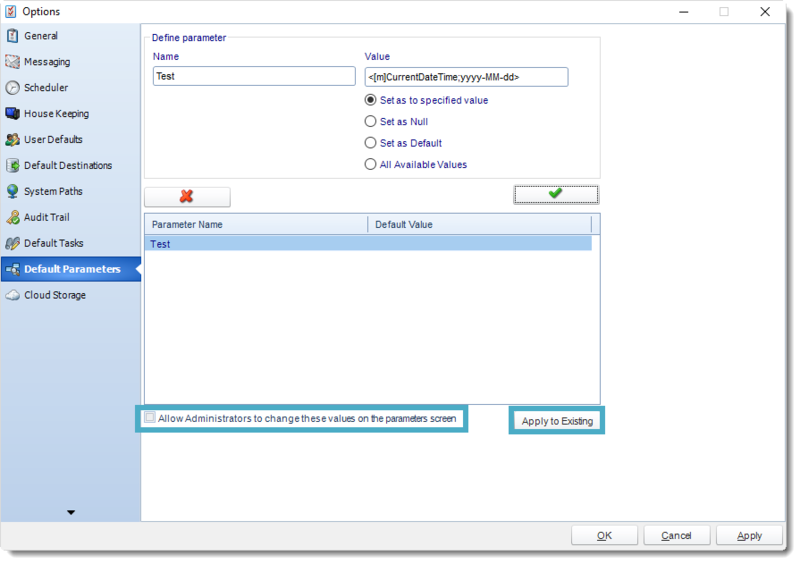 Once you are satisfied with the parameter name and value, click the Check mark to add it to the Default Parameter list. Repeat steps 1-3 for the remaining parameters you wish to set. 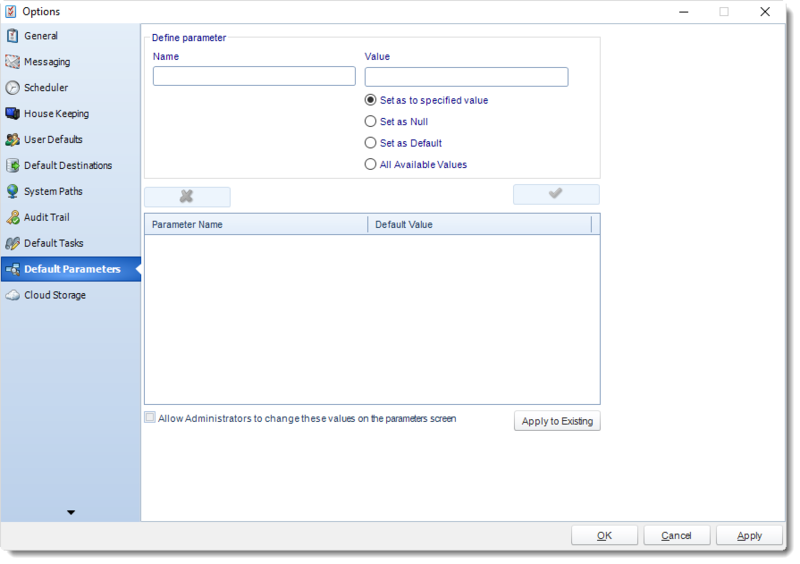 Once you have finished entering in parameters, decide if you would like administrators (or those with similar admin rights) to be able to edit the default parameter values you just set. If you do, check the box next to Allow Administrators to change these values on the parameters screen. If you would like to apply these default parameter values to all your currently existing schedules, click Apply to Existing. When reports are added to schedules, the parameters specified will now automatically have the default values you configured.